December 23, 2016 Update: Nobu Honolulu at Waiea is NOW OPEN! Nobu Honolulu is yet another canvas for Chef Nobu Matsuhisa to display his legendary dishes, such as Black Cod Miso and Yellowtail Sashimi with Jalapeño. After almost 10 wonderful years in Waikiki, we have relocated as a proud new member of the Ward Village community. Designed by Studio PCH, Nobu Honolulu has been crafted with love and comfort in mind, to create a clean and elegant atmosphere. 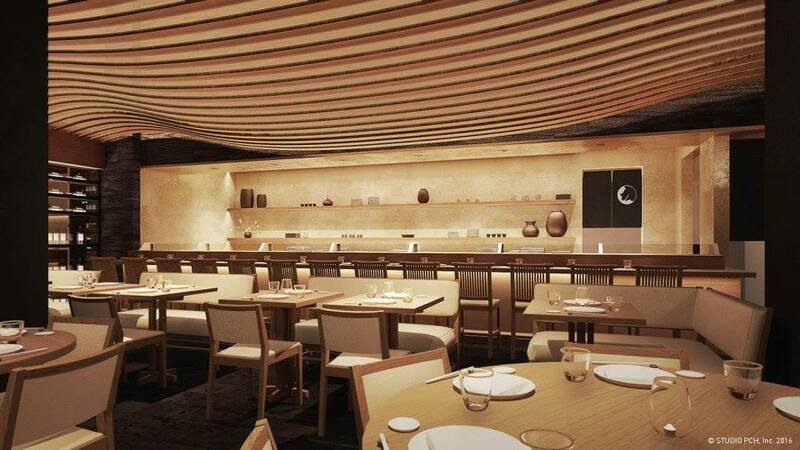 And now with a robust bar/lounge, guests can feel free to socialize, casually imbibe in cocktails and small bites, and get the full Nobu treatment without the formal dining experience. Who wouldn't want to have world-class fine dining right below where you live? Waiea makes this possible. 89% of units in Waiea are already sold, so please contact me if you are interested in securing your Waiea (or Anaha!) unit! This year, I was the Ward Village Top Producing Agent by Units for the second year in a row, so I am happy to use my expertise to assist you in this exciting new project!